The National Network on Water Quality Trading is made up of diverse organizations representing agriculture, wastewater utilities, environmental groups, regulatory agencies, and the practitioners delivering water quality trading programs. About the National Network on Water Quality Trading. Publications, documents, and other resources. Event information, meeting notes, and other resources. 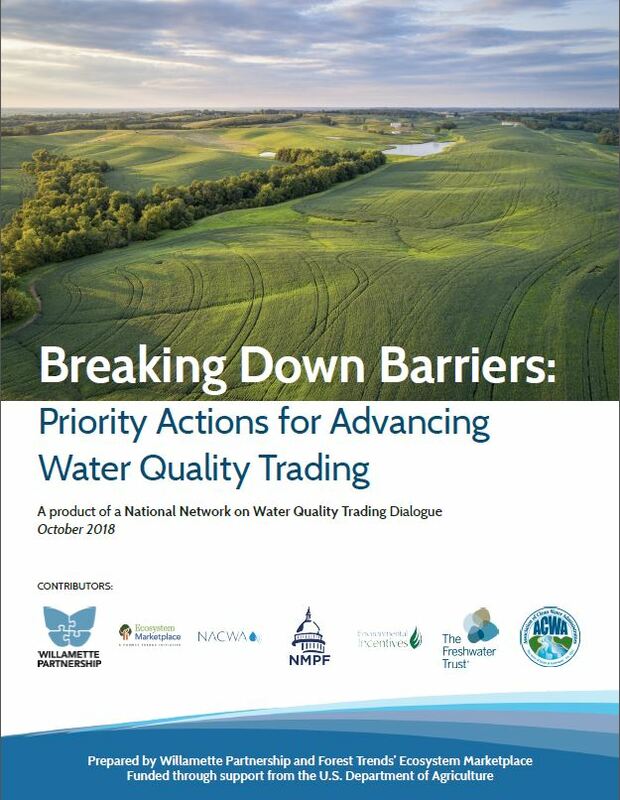 “Breaking Down Barriers: Priority Actions for Advancing Water Quality Trading,” a new report from the National Network on Water Quality Trading, delves into the common barriers that keep utilities and municipalities from pursuing trading to achieve their clean water goals, and what proponents of trading can do to move beyond today’s challenges. To learn more about what actions can help move water quality trading forward, download the report here.